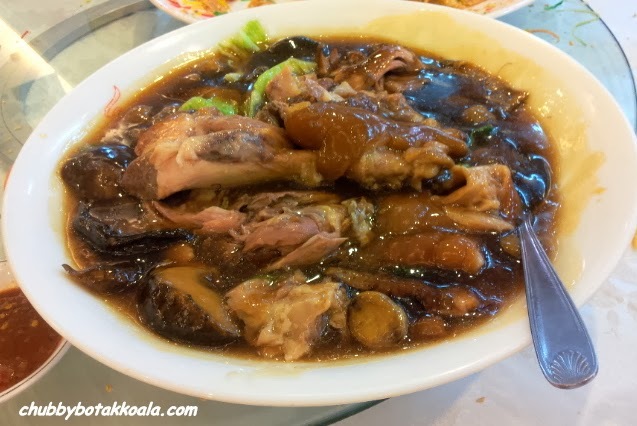 Gim Tim Pte Ltd is a popular neighbourhood restaurant that serve Hokkien and Cantonese Cuisine in Ang Mo Kio area. They first open their door in 1975, and through the years they have been serving quality food and service to its customers. Their signature Buddha Jumps Over the Wall has won much acclaims amongst foodies. Sticking to their root, their main restaurant can be located at Blk 157 Ang Mo Kio Ave 4. On Saturday and Sunday, don't expect to get a seat without reservations. I have wanted to try out this place for a while, so this time around when our office is looking for a restaurant to celebrate the 1st day opening of the Horse year, we decided to have it there. We ordered the $398+, 8 course meal for 10 person. The feast begin with Prosperity Raw Salmon Fish (“Yu Sheng”). 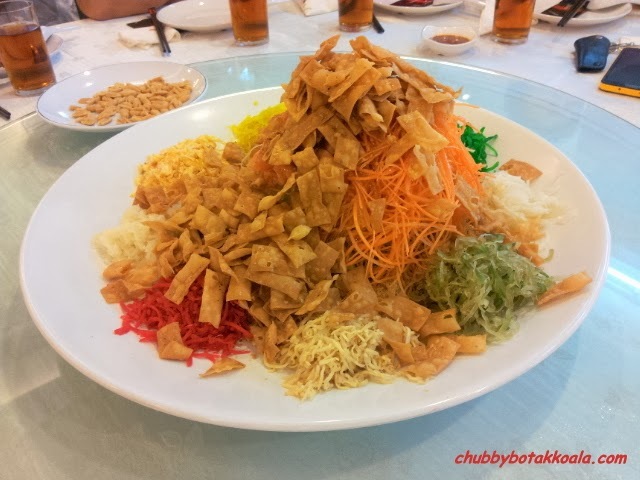 The Yu Sheng might look simple, however the ingredients such as the carrots and radish are fresh and crunchy. The sauce has the right level of sweetness, creating a well balance combination and it really wakes up your appetite for the next dish. I manage to scoop some of the salmon to give me luck for this coming year. Following the Yu Sheng there are the Shark Fin Soup with Shredded Dried Seafood and Stewed Trotter with “Bak Ku Teh” Taste. 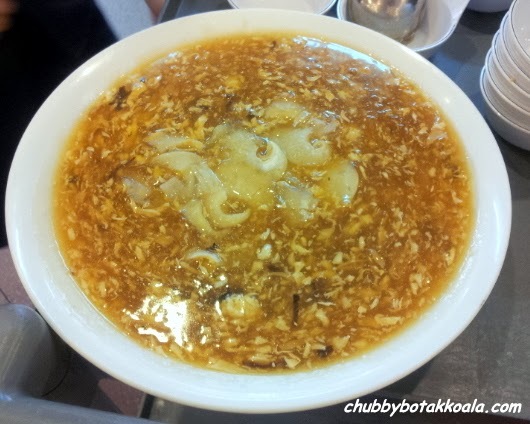 The soup is very tasty and robust, the combination of the stock and dried seafood is provide the richness in the soup. The trotter skin basically just melts in your mouth, while the meat is tender. The gravy has a unique BKT taste, but well balance in terms of the seasoning. You won't feel overwhelmed even if you have too much of the trotter that are filled with collagen. 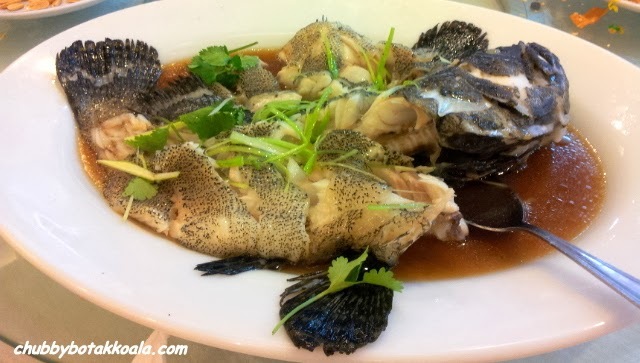 A fish dish for the Chinese New Year Banquet is a must. Steamed Grouper with Soya Sauce is well done. It was steamed just right and again the sauce is just perfect. The fish is fresh and you won't feel the muddy taste in the meat. Grouper provide a slightly resilient meat, but no complain here. Braised Sea Clam with Mushroom and Lettuce is the vegetable dish. The vegetable is crunchy accompanied with thick and robust gravy. 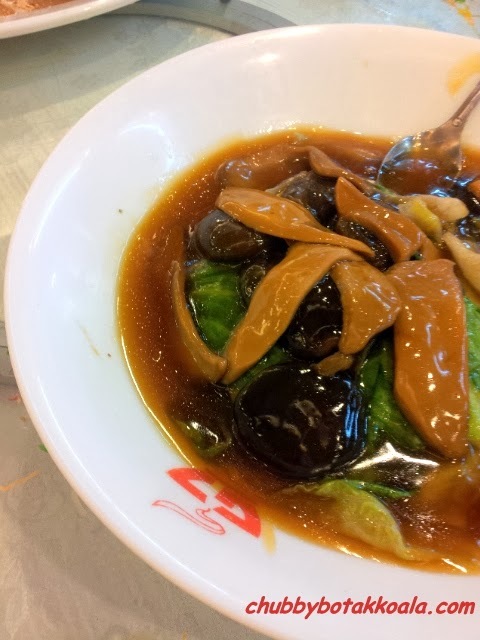 The Sea clam was cooked slightly too soft in texture, that can be mistaken for mushroom. As most of us started to struggle to finish the dishes on the table, Poached Live Prawn with Wine & Wolfberry were served. 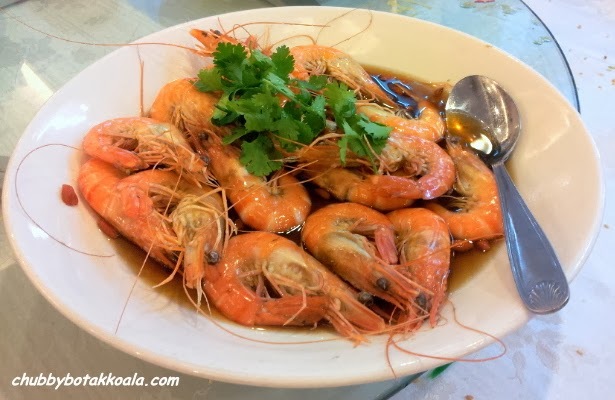 The prawns are fresh, sweet and juicy. It is good to have a sip of the gravy while eating the prawns. The sweetness from the wolfberry and wine, is just delicious. 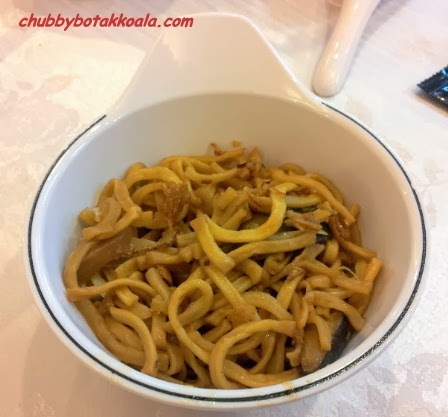 Fried Ee Fu Noodle with XO Sauce means the banquet almost reach the finish line. This is the first time I saw Ee Fu mee paired with XO Sauce. The XO sauce is very tasty and “got kick”. The Chef seems to know the customers well. Unlike those banquet where you need to add cut chilli and soya sauce, Gim Tim version of Ee Fu Mee has all the condiments needed. 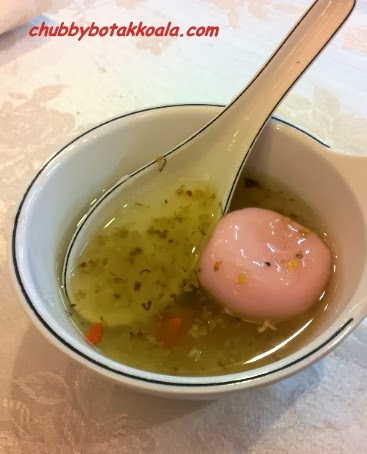 For desserts, Sweetened Osmanthus with Glutinous Rice Ball signifies the end of the meal. The Osmanthus provide a healthy feel to the desserts, its roughness in texture causing it to stuck to your teeth. The combination with peanut filled rice ball, it is a dish that might takes time for one to get used to . Overall, I really like the taste, presentation and creativity of the food in Gim Tim. It seems the combination of Hokkien and Cantonese cuisine created many well-balanced dishes that are perfectly executed. The price of the food is very reasonable. I really enjoy the food here and I can't wait for the next visit to use the lucky draw voucher that I won. Cheers and Huat Ah!!!! !